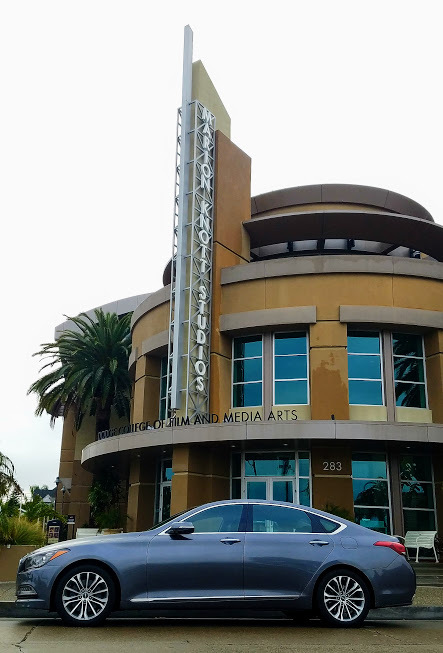 It's time for the first vehicle review of 2017 and no better way to start off the year than with the luxurious 2017 Genesis G80. This is the third time I have been able to review a Genesis and this is the best one yet! 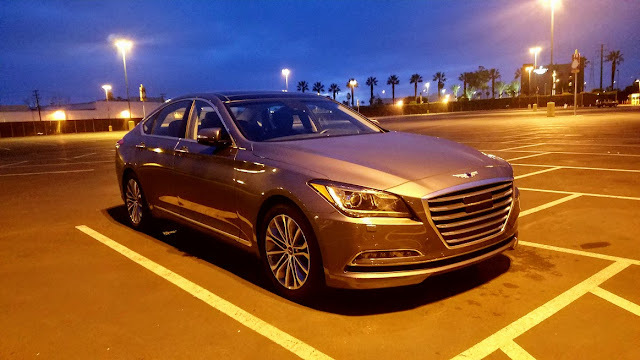 From the first time I drove a Genesis back in 2015, this is the vehicle that could take on the more widely recognized German and Japanese sedans but at a lower cost. Ever wonder what it looks like to be in a Disneyland parking lot and be the only vehicle there? This is what it looks like! There is nothing better than traveling to Disneyland in style! From the large grill that makes it look like a Bentley, to the swept back look of the bright Bi-Xenon HID headlights, to the smooth lines going all the way to the rear of the vehicle, the Genesis G80 makes a statement wherever it goes. 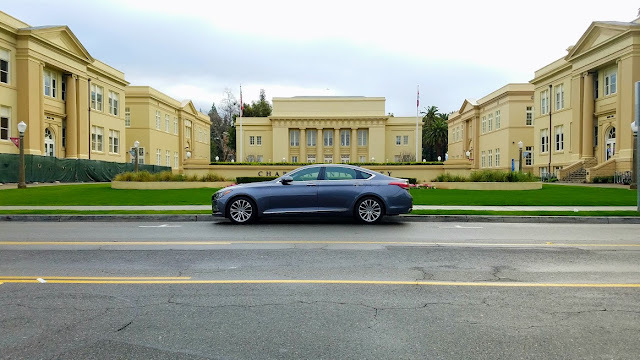 After a few days of torrential rains in the Southern California, the suspension system combined with the weight distribution provides for a very solid ride. 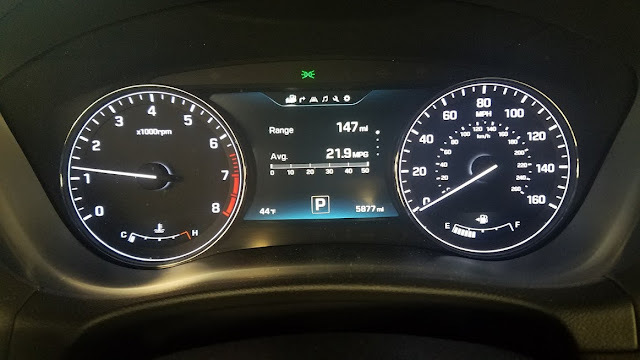 In fact the vehicle felt heavier on days that it was pouring rain as if it knew it needed to provide more grip and stability during the stormy weather. The rain-sensing wipers and auto defogging windshield came in handy this week as did the standard safety equipment. 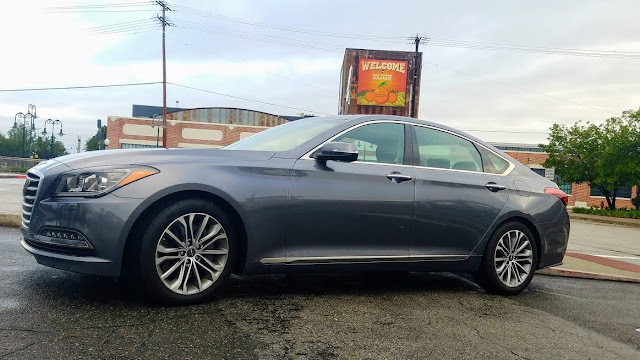 Automatic Emergency Braking, Blind Spot Detection, Rear Cross-Traffic Alert, Lane Keep Assist, Lane Departure Warning, Smart Cruise Control with Stop/Start and more all come standard. The Premium Package adds Front and Rear Parking Sensors and Rearview Camera with Parking Guidelines. The Ultimate Package adds the Full Color Heads-Up Display. 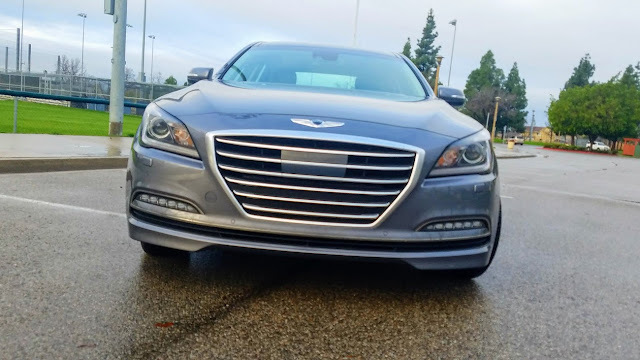 The large grill is aggressive and let's you know that the Genesis G80 packs a powerful punch! Under that hood is a 3.8L DOHC V6 GDI engine with 311 HP. There were no problems cruising around the streets and freeways of Southern California. The Genesis averages 19 MPG combined with 16 in the city and 25 on the highway. Take a look at the interior of the Genesis in 360 VR with the above image. 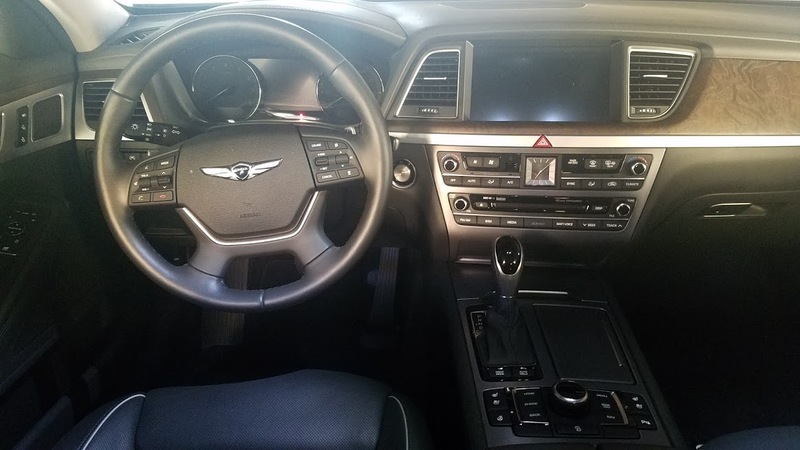 You can view it one of two ways, either in a VR headset or simply by clicking on the image and using your mouse to scroll around the Genesis interior in 360. You get an incredible view of the roominess of the interior and also a cheesy look at me! The drivers cockpit is smartly laid out. Everything is easily within reach. The displays are large and bright even in direct sunlight. But you also have a wonderful Heads-Up Display that is bright and multi-colored to keep all of the critical information in front of your face so you can focus on driving. The infotainment screen takes center stage here with a large 9.2 inch touchscreen. 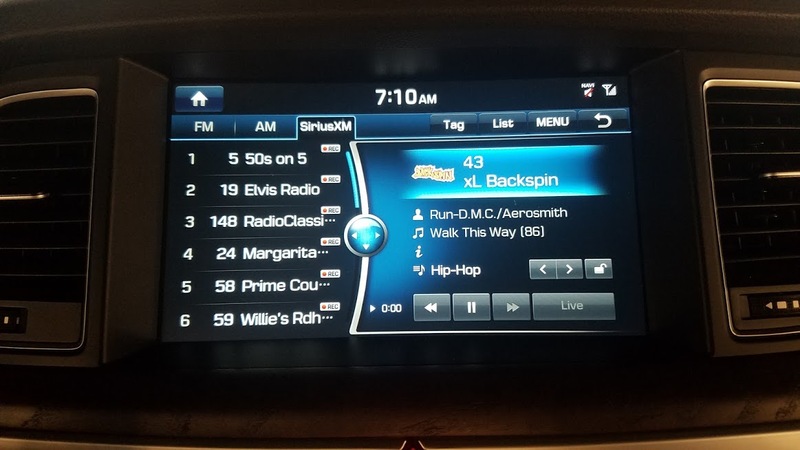 Complimented with a 17-speaker Lexicon 7.1 audio system, the audio system can handle anything from Old School Hip-Hop to Sinatra with the greatest of ease and clarity. Also included in the Ultimate Package is dual climate control with CO2 Sensor, LED running lights, premium leather seats and more. You will find a spacious trunk equipped with a smart trunk system. 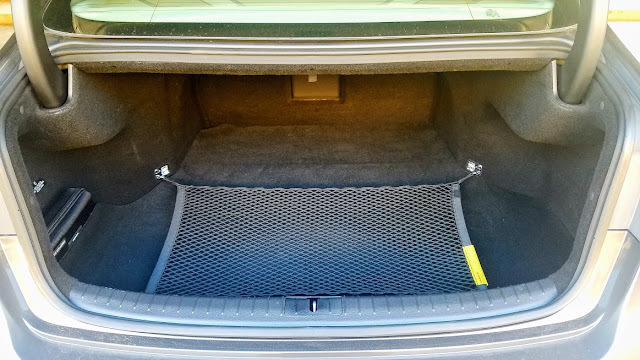 Simply stand within three feet behind the vehicle with the key and the trunk will automatically open. The 2017 Genesis G80 AWD 3.8 offers a lot of value for it's $53,800.00 price tag. Style, performance, comfort and wonderful safety features makes this a luxury vehicle that will make German and Japanese companies take notice and let others know that you have arrived.